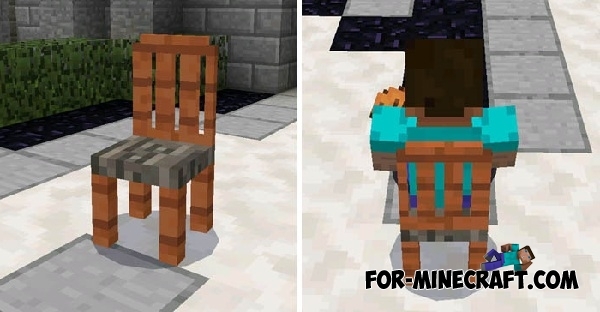 Small mod for the MCPE 0.16.0 that will add a new feature and 4 new chairs. After installing the More Chairs mod, you can fully sit on a chair. This ability will add more reality to your home. Now you can sit at the table and really take food. Each chair has a unique texture and is suitable for different rooms. For example, in the hall you can put a home chair, kitchen chair suited for kitchens. More Chairs mod has a small flaw. Some mobs will be replaced with chairs. But eventually, you play a little closer to real life. Try to make the kitchen table and arrange the chairs around. All this creates an atmosphere of comfort in your home. Also, if you want to see more of furniture then install the Voxelation mod for Minecraft PE 0.15.10/0.16.0. With it, you will get 17 different furniture blocks. In the meantime, look at screenshots. A recent update for MCPE 0.17 includes 5 new chairs, such as a log for pastime outdoors, a beach sunbed for relaxing on the beach and others. All new chairs work great and do not cause errors. Download the file for your version of the game. Extract the files and run the game. Activate these files in the world settings. Voxelation mod for Minecraft PE 0.15.8/0.16.0You have built a cool house, but you do not know what to place inside? 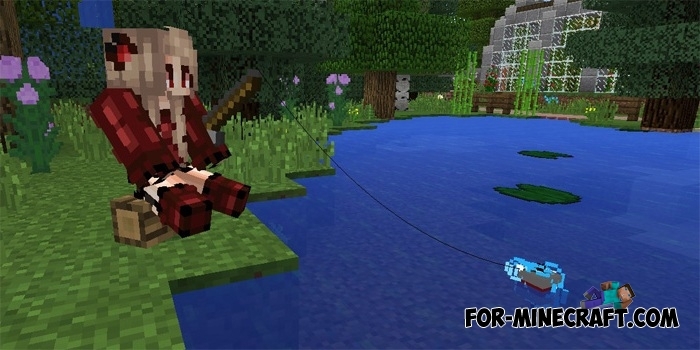 Pixel Reality Texture [16&#215;16] for Minecraft PE 0.15Pixel Reality texture will transform the world in a cartoon style..